You may think that a water leak in your home or building is something you’d notice right away – a burst pipe or an overflowing toilet is quite obvious, after all, and you can’t possibly miss it. Yet, there are some types of leaks that are much more difficult to detect – such as water leaks behind walls or under floor boards. When the signs of water damage are hidden, homeowners may not notice the problem until the leak has already caused a considerable amount of damage. To prevent serious damage and costly repairs, you need to be able to detect a water leak in the house as soon as it happens. But how can you tell there’s a leak? How do you recognize the problem before it’s too late? 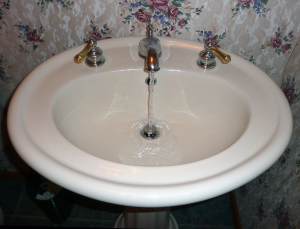 In fact, finding a water leak – even a hidden one – is not as difficult as it may seem. You just need to be familiar with the most common signs of a water problem and know how to check for water leaks in a house. What Are the Warning Signs of a Water Leak? Accumulated water – Wet carpets and areas of standing or pooling water are the most obvious sign of a water problem in the home. Check the meter reading – if the device has recorded water use during the test, it is an indication of a water leak in your home. When you know what to look for, you will be able to quickly recognize a water problem in your building. In order to fix it in time, however, and prevent water damage to your property, you need to know how to find a water leak as well. Examine the flooring, walls, and ceilings in your home for discoloration, wet spots, mold growth, and buckled or peeling material. Water travels downward, so the location of wet stains, mold patches, and other signs of water damage may not be the exact location of the leak. Still, you will get a good idea of the general area of the source of moisture. Good to know: Water leak sensors make it very easy to detect and locate a water leak in the house. These sensors sound an alarm when they detect the presence of water, alerting you to the problem and helping you pinpoint the location of the leak. Consider installing water leak sensors under sinks and near toilets, washing machines, dishwashers, hot water heaters, furnaces, humidifiers, and anything else connected to the water system. If you have a commercial building, be sure to have the sensors installed in server closets, record rooms, and other sensitive areas to protect your most valuable assets. What to Do When You Find a Water Leak? Call experienced water damage restoration professionals to assist you with the cleanup and remediation processes. 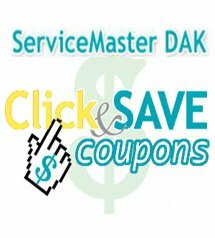 If you’re dealing with water damage after a water leak in your home or commercial building in the north Chicago suburbs, you can count on ServiceMaster DAK to fully restore your property – our trained, experienced technicians will assess the extent of the damage and determine the type of water that caused it. Then, we will extract all standing water from your building and install state-of-the-art drying equipment (air movers and dehumidifiers) in the affected area to ensure that everything dries as quickly and efficiently as possible. When all excess moisture has been removed, our water damage restoration experts will perform any necessary repair works and remediation processes to ensure the excellent condition of your property. We’re available 24/7 at 847-564-0204 to respond to emergency situations and provide quality water damage restoration services to homeowners and business owners in Northbrook, Buffalo Grove, and the surrounding north Chicago suburbs.